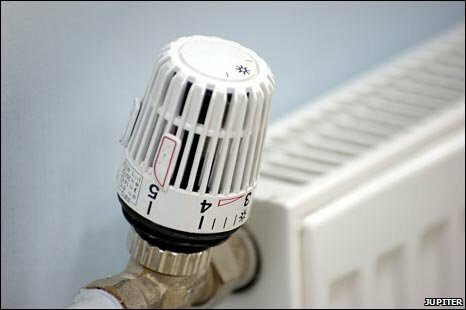 Home › Boiler Replacement Scheme › Are Grants Available for Full Central Heating Systems? At present, no. The only current scheme which funds home improvements is the Governments ECO Scheme, this scheme helps low-income households or those at risk of fuel poverty to access free home efficiency improvements such as free gas boilers, cavity wall insulation and loft insulation. There isn’t enough funding available for full gas central heating installations. Why aren’t full heating system grants available? We’re unsure. It’s more than likely due to the high costs and potential complications involved when installing a full gas central heating system in to a property. The cost of the pipework, labour and other materials would be so high that it would be uneconomical to fund such installs 100% free of charge. If you currently have a gas central heating system, but your boiler is very old an in-efficient, then you should consider applying for a free replacement boiler under the ECO Scheme. Check if you qualify for a free boiler here. Who qualifies for a free replacement gas boiler? 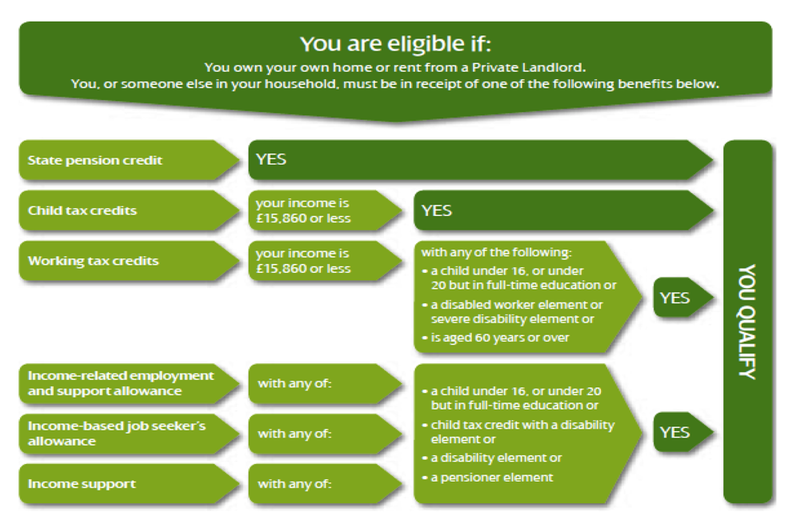 If you wish to see who qualifies for a free replacement boiler, or to see if you qualify, check out the following image. It is all benefits related and you need receive a certain type in order to get your hands on a free boiler grant. Will grants be available for full gas central heating systems? It’s uncertain what is going to happen with the grant system. As with anything which is grant related, there are never any guarantees so it’s best to keep checking on our blog and watch the news. They making changes on a very regular basis, so it may be available soon. ‹ Can I Get A Free Boiler If I’m On Benefits? I’ve been very impressed with the ECO Boiler Scheme, mines been installed for 3 weeks now! Finally, I have WARMTH!!!!!!!! 1 Pings/Trackbacks for "Are Grants Available for Full Central Heating Systems?"